Review and advice. — How to build and maintain iconic status in your field. The recent Pearl Jam show in Berlin reminded me about a couple of valuable teachings, global bands of our times have to offer for entrepreneurs in general and everyone in the entertainment industry especially. “Here comes the story of the Hurricane — the champion of the world”. While some might argue, in 2018, the title for being humans #1 influence and driver clearly belongs to technology, I say experiencing a concert at Berlins legendary Waldbühne produces more evidence (again) that technology is just a tool. While content, and in many ways a live show is something like the mother of all content, is what really moves people. PJ was back to the Hauptstadt on July 5, 2018. Their one and only engagement within Germany for the year 2018. A bit of a historic event as well with this having been their first time as a Waldbühne headliner. For me, it was another reunion with a band I started to admire more and more over time starting with the release of their “TEN” Album. 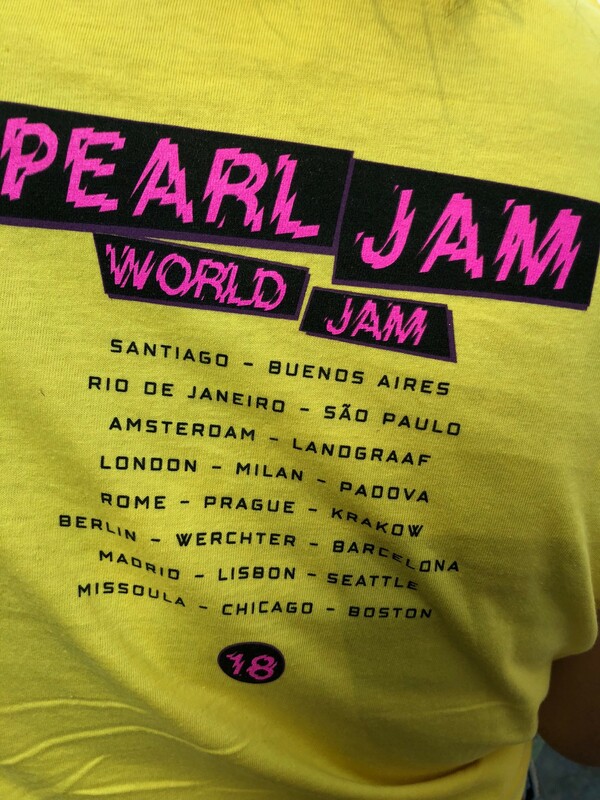 I wrote already about Pearl Jams previous Berlin show back in 2014 (read this here). Nothing has changed since then. Same enthusiasm. The same great band, the same great energy. Nowadays, the Seatle giants are even more on top of their game. So, after years of scepticism, this year, I arrived as an admirer. I left as a fan for life. Maybe there will be a time when we have to call them the best Rock Band on earth. Could be soon. Music is the key. So be all ears. Its all about the long term. PJ started out as part of the early 1990ies Grunge phenomenon. They didn’t fly as high as Nirvana back then. But that’s probably why they are still around and kickin’. While I don’t think we could ever solve the rather philosophical question here whether it is better “to burn out than to fade away”, I just want to highlight that those who really have a choice (Kurt Cobain never really had one) always pick life. That’s the reason why Pearl Jam is still around as well as (their “Mirrorball collaborator) Neil Young or the Rolling Stones or Richard Branson and his epic Virgin Brand. If you build, you better build for eternity. Lifes events will be humbling enough already. So, shoot for the moon. But play it step by step. It is definitely more rewarding as a vision from day one on. And if it works out over time, it truly excellent to see things manifest the way you dreamed them up once in the long run as well. Just keep in mind, this does only work if you be true to yourself. Don’t be too respectful towards Icons & “the legendary”. 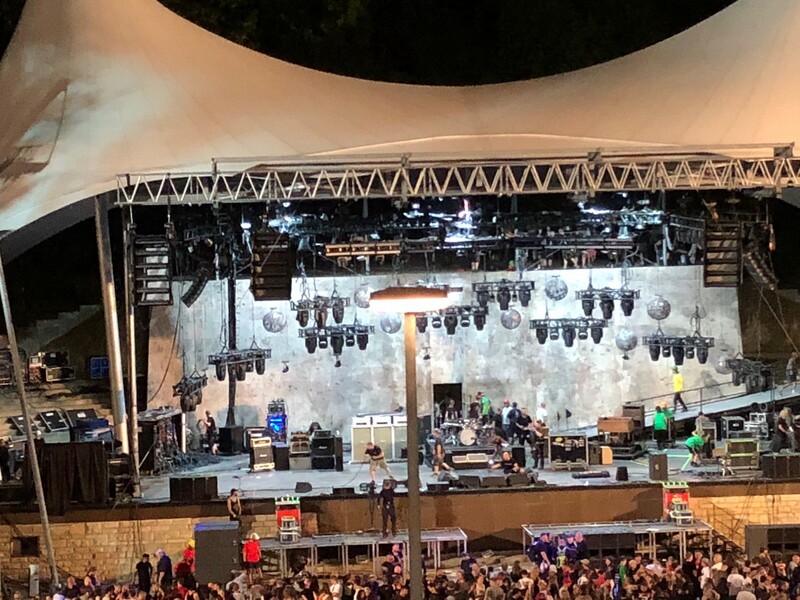 An aspect of the Waldbühne show encore was PJ playing a cover version of Pink Floyds “Comfortably Numb”. Which indeed was an outstanding cover version of a great song. Maybe even the best version of the song at all so far. Less of Pink Floyds often brainy higher concept approach. More music. But. 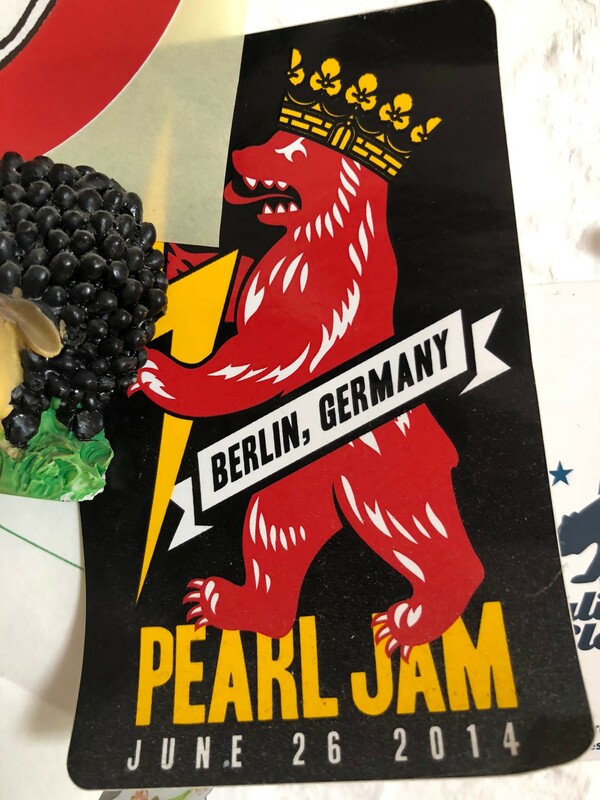 Eddie Vedder introduced the song by connecting the dots between Pink Floyd, the Waldbühne and Berlin thru their shared history around Walls. 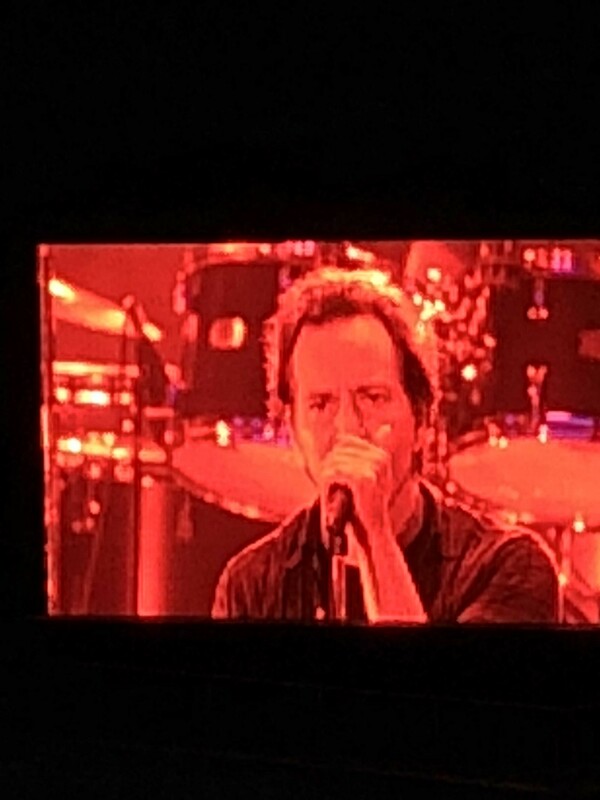 Standing there, on that stage, with this massive dominating wall to his back which is dominating each artists stage set up on there automatically, it was also the moment Vedder did occur to me being in his element least of all that night. Too much pathos, too much — apparently — overwhelming history. Correspondingly, the Pink Floyd cover felt a bit too much like a commodity to me within the otherwise very unique music and style of PJ. Yes, I’m writing this despite thinking it is a great cover version; yes, well knowing the band is playing this song on other occasions as well. Yes, Pink Floyd might be considered a big influence by all band members. But I don’t think they really stick to their guns with anything Pink Floyd. In my book, other cover versions performed represent less reverence and more of the own creative spirit involved. Like Neil Youngs “Rocking in the free world”. A song that feels so much more belonging naturally within PJs way of being in the world when performed. For that reason, I can’t truly resist thinking, PJ is rather assuming they have to play that “Comfortably Numb” rather than they actually really like to do so from the bottom of their hearts. Do your own thing and don’t care that much about other peoples stories. 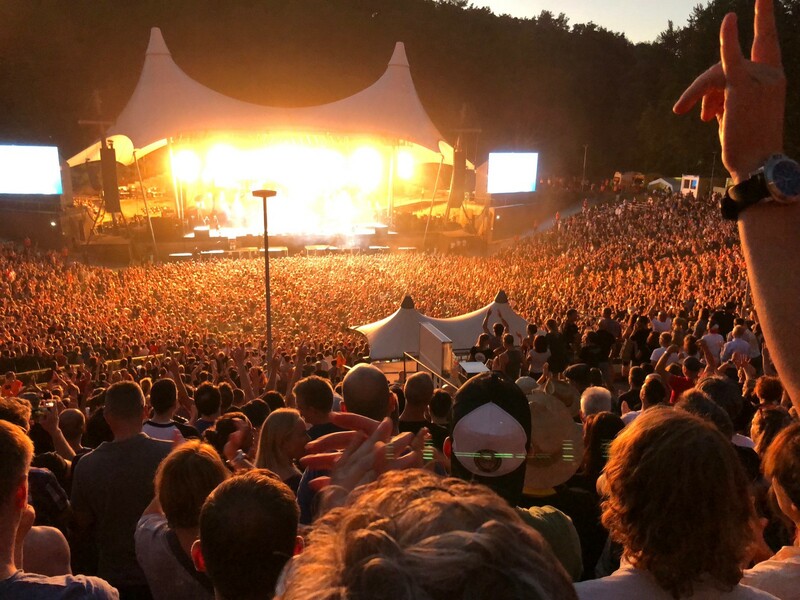 In Berlin, PJ sold out the Waldbühne. Around 20K people in the audience. No other shows in Deutschland. That’s it. Just as they sold out pretty much every other venue on their 2018 tour. No tickets left at the box offices. Maximum capacity. In one of a market economy most fundamental teachings, the band really masters the game of supply and demand here. With a slight undersupply keeping the future demand up already the moment the current product is on the market. And they don’t get greedy while moving. Berlin tickets came at 97,53 Euros a pop. Already including the 8,50-Euro-Pre-Sale-Fee, a mandatory subway fee (1,53 Euro) and a mandatory contribution to the bands own Vitalogy Non-Profit (2,50 Euro), leaving a face value of 85,00 Euros per ticket as the entrance fee. A more than fair price, given the general explosion of prices in that sector over the last couple of years. My personal guess is, everyone would have paid at least 110 or even 120 Euros to see PJ performing at the Waldbühne as well. But, part of the result of PJ treating everyone fairly is, everyone in our little group attending the concert expressed interest in coming back to see them again next time. Repeating customers = the best customers. Give back & make efforts. PJ has always given back to their fans and their community. With their foundation mentioned before. With the products they sell. Long before luxurious packaging, and box sets with extra material, stickers, download links and/or lavish print products became part of the music industries packaged media sales SOP, PJ released it’s albums that way already. In a way, they set a standard for new releases on this. And they were never shy to innovate on top of this as well. While Metallica was still fighting the digital revolution in court, Pearl Jam answered the seismic shifts in the music industry by building the fabulous TEN fan club. Or by being among the first to sell professional recordings of their shows — calling them “Bootlegs” — thru their own channels (“Collect them all” :-) ) — naturally coming with CDs in well-designed sleeves. All this is good business. And it contributes to a great experience for the fans. Each fan is a priceless asset. Each one! More then most other bands, more than most other ventures, PJ has understood perfectly the value of a stable and reliable fan base. With the 10Club, they established a well-maintained fan club very early on into their career, to serve their global community. So, PJ, the band that celebrates its 28th-year in 2018, got this right long before Kevin Kelly came out, making the “1000 fans”-concept and himself famous with his blog post ten years ago. I’m not saying they invented the fan club. I’m not saying they are the only ones playing that card well (e.g. Metallica or Iron Maiden is getting a lot right in that field). All I’m saying is, they do this pretty well. And by far better than the vast majority of other artists around. And they do this mostly by just being super authentic. Real stardom vs. being a celebrity. Pearl Jams fame and fortune is built on them being real. Always. All the time. With every note, they play. With everything piece of product they sell — whether its physical or an experience. At the same time, they never deny the fact that they are a show act, a touring band, musicians coming into town to entertain. Even at times when they could have afforded it (basically the height of the CD market royalty income), they never stopped playing two to three hour-long gigs. Always including the songs, people want to hear, to party, to go crazy. 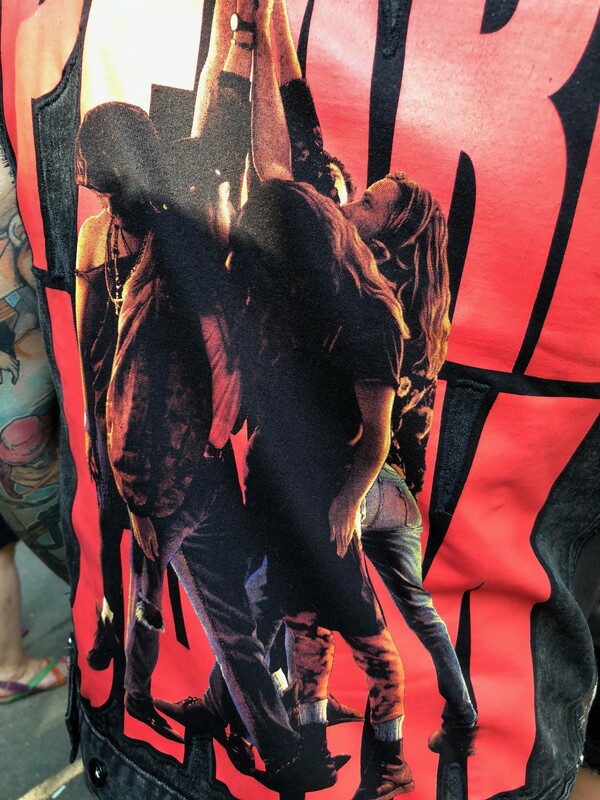 The kind of longwinded concept shows, where artists shovel down the audience’s throats songs they think the people need to hear just because they made the mistake of buying a ticket, never ever happen with Pearl Jam. Almost needless to say, but PJ is a quintet of excellent musicians. Excellent as individual artists, excellent in working together. In other words: Being the successful band they are, in so many ways is a success, Pearl Jam earns every day, again and again. They do everything they can to deserve peoples recognition and with that the good business the fans bring them. The Berlin Waldbühne show 2018 proved this once more. Life and live — like a hurricane. Personal note: Klaus, thank you for embarking on that Pearl Jam journey with me since a long time now. It’s always great. — To more good shows to come!